An interview with Carlton Olson and Alice Rader, conducted by Mike Dicianna. In January and February 1964, Oregon State University students collected over 14,000 books for transport and deposit at the Miles College library in Birmingham, Alabama. 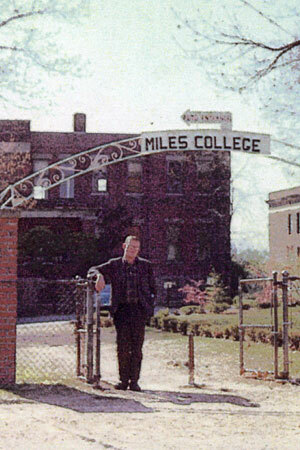 Miles College was the primary four-year college available to African-American youth hailing from the Birmingham area, yet its library was so inadequate that the school risked losing its accreditation. The Books for Birmingham project was a highly visible instance of OSU student participation in the Civil Rights Movement. In this interview, two students fundamental to the initiative, Alice (Elle) Rader and Carlton Olson, share their memories of the project and of subsequent civil rights and anti-war activism on the OSU campus and beyond.